The crack of the gunshot was deafening. It took Shobhna Chellaram a few minutes to realise she had been shot by one of the band of armed robbers who had ambushed the car in which she and her family had been travelling along a deserted road in Lagos, Nigeria. The bullet shattered the base of her pelvis and ruptured her femoral arterial branches, lodging in her buttock. After being flown to London, she spent two months in hospital and had two operations to clean up the mess from the bullet, and returned home on crutches. “Lying on my back was excruciating and sitting up only aggravated the pain. I went into severe depression and frequently woke up at night with anxiety attacks. I wondered if I would ever be all right again, ” recalls Chellaram, who was 36 at the time. Thirteen-year old Anees Chopra, a Grade 8 student in Hong Kong, had always dreamed of becoming a dancer – until she was diagnosed with scoliosis, an abnormal sideways curvature of the spine. X-rays showed a 41-degree curvature, and high risk of continued deterioration. Inserting titanium rods in her spine was the only option, her parents were told. Dancing was out of the question. Carolyn Martin was on holiday, exploring Thailand on a motorcycle when she skidded on wet leaves while going around a corner. She was thrown onto the road. Three different people, in three different parts of the world, had their lives rudely interrupted by events beyond their control. While modern medicine and the best of doctors were able to repair some of the damage, they were still looking at a restricted life and continued physical and emotional distress. Yet the trio found the will and the way to wrest their lives back from pain and depression. Today, Chellaram is a renowned yoga teacher and has been practising and teaching yoga for the past 30 years. Anees, now a Grade 10 student, is back at dance school. Martin enjoys Pilates and yoga and works with people with autism spectrum disorder. 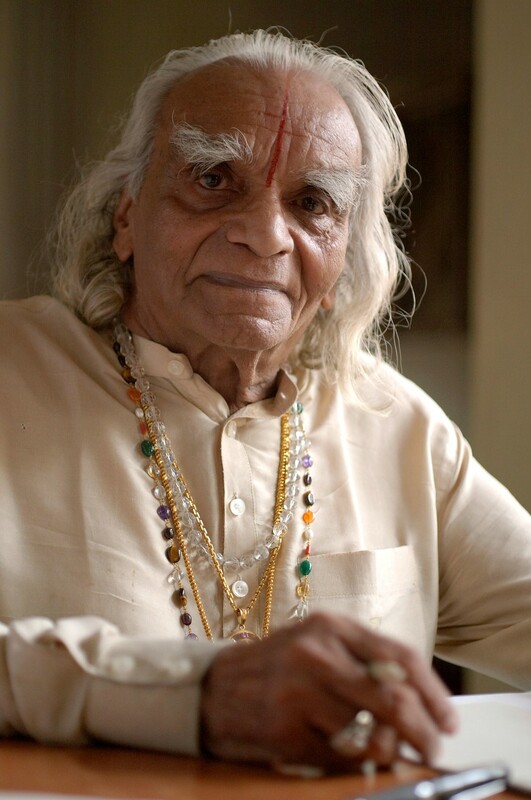 The common thread in their remarkable recoveries is Iyengar Yoga – named after the late yoga guru BKS Iyengar. Iyengar himself was a sickly child, having battled malaria, tuberculosis and typhoid. He started practising yoga at the age of 13 to improve his health under the tutelage of his brother-in-law, accomplished yogi Tirumalai Krishnamacharya. Yoga transformed Iyengar’s life in such a way that at even when he had reached the age of 95 he was still healthier than most people. His belief that yoga is for everyone led him to formulate a system that allowed people of all abilities, even those with disabilities, to practise and enjoy its benefits. An Iyengar teacher must have a minimum of eight to 10 years of training and teaching before being qualified to work with people with injuries. The Iyengar principles of alignment, sequencing, timing and the intricacy of each pose provide the framework for the instructors to structure a specific therapy. Then, Chellaram could breathe with only one lung. She had a closed chest, stooped shoulders and could not spread her legs wider than two feet. He took one look at her and sized up her problems, then asked her to visit his institute in Pune, India. Iyengar guided her through poses he designed for her. “Constant practice of backbends opened my chest, making me feel optimistic. The diagonal standing asanas opened my pelvic region bringing alignment to the injured area. As a result of daily practice… my chest and rib cage expanded by six inches (15cm) and my back straightened,” she says. Finally, her body regained flexibility and she no longer needed painkillers. Life was worth living again. Three years later, Iyengar suggested that she teach yoga. “’You have worked through and healed such a difficult and problematic body. You will be able to understand the difficulty of others in a similar situation. You must teach,’” he told her. She has since acquired her teaching accreditation, and splits her time teaching in Pune and Hong Kong. 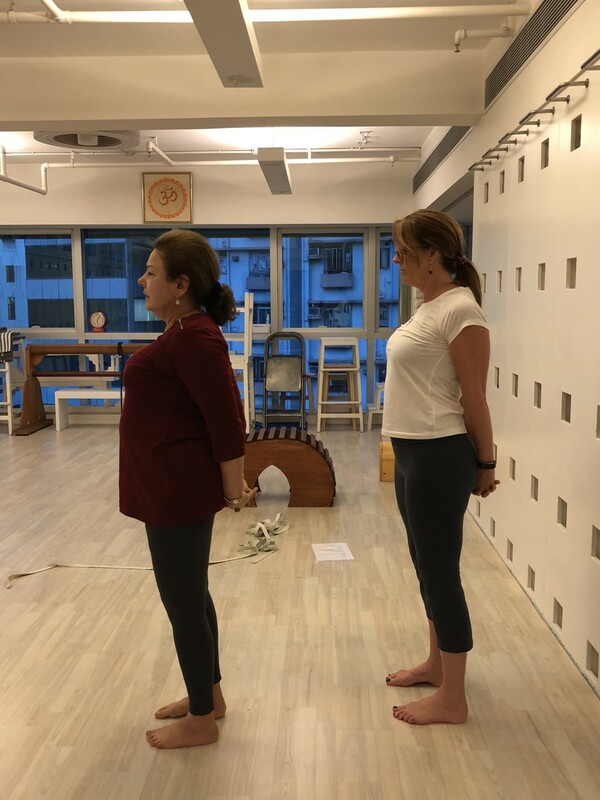 When her mother’s friend recommended Anees try Iyengar yoga, George Dovas, director of Hong Kong’s Iyengar Yoga Centre, suggested she attend its weekly specific needs class, in which each student is given personalised pose sequences and has one teacher guiding them. Two years after Anees started regular yoga, X-rays showed that her thoracic curve had straightened by 10 degrees. Her orthopaedic doctor was astonished. Her parents believe the combination of yoga and wearing a back brace worked wonders. Two months after her operation, Martin started attending the specific needs class with Dovas. “I was very weak. I had lost all my built up muscles and had to start afresh,” she recalls. “We started from the very beginning,” Dovas says, “teaching her how to stand with the feet together and then how to stand with the feet apart.” She could press her hands into a large support with a horizontal beam and extend her spine. When Martin saw her doctor three months after her surgery, he said he had never seen a patient recover so quickly, she says. Yoga, breathing exercises and perseverance saved her, she believes. Iyengar said that yoga is a healing science that combines physiotherapy, psychotherapy and spiritual therapy, and that practising yoga teaches the brain to be calm, to endure pain and not fight it. “Yoga teaches us to cure what need not be endured and endure what cannot be cured,” he taught. Sage Patanjali, the author of the 2,000-year -old Yoga Sutras, one of the guiding texts on yoga, writes “Heyam dukham anagamatam” which means “yoga conquers suffering”. 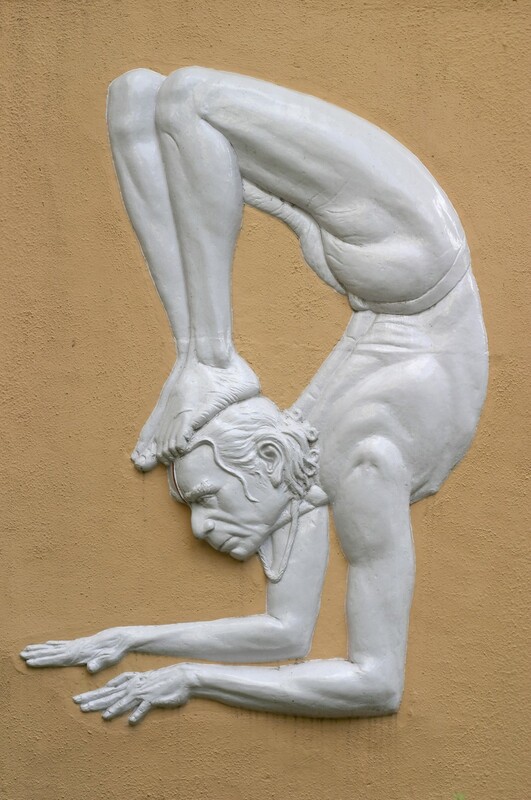 Chellaram, Anees and Martin have all experienced the truth of this thanks to Iyengar’s teachings – a master who has made the healing power of yoga accessible to all.